Now more than ever, employees need to be as efficient as possible on the job which means taking advantage of all available Autodesk software tools, as well as staying current with new features and functionality to help streamline processes. IMAGINiT is an Autodesk Authorized Training Center and all of our instructors have achieved Authorized Certified Instructor (ACI) status. They are best in class and bring both industry and product knowledge to their classes. IMAGINiT recognizes that the way that people learn is varied and the tools they use to learn have evolved. To meet these needs, we have created a portfolio of quality and highly flexible Autodesk and CAD training options: Classroom Based, LIVE Online, eLearning, Blended Learning and Custom training. 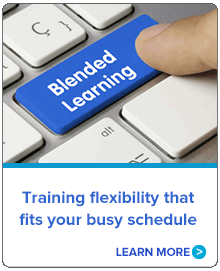 With IMAGINiT’s wide array of content, delivery options, CAD training locations, and course schedules that can be tailored to meet your specific needs, you are sure to find a training solution that boosts your productivity now. 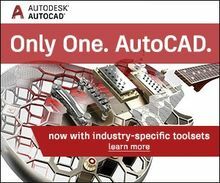 "We have attended a number of your training courses over the years on Autodesk products and have been always been thoroughly satisfied with the results. The instructors are very knowledgeable, friendly, and do a great job teaching the material. Thanks again for another great training experience! We will keep coming back!"